Export your company expense information to a PDF report from Finance. You can export expenses in both the Approved and Completed area of Finance. Navigate to either the Completed or Approved area of Finance. User the filters available to narrow down your search in both the Approved and the Completed areas in Finance. 2. Tick Select All or individually select the expenses you wish to Export. 3. Click the Export dropdown button, choose either Export All or Export Selected. Report Name: Enter the name you would like the Report to have. 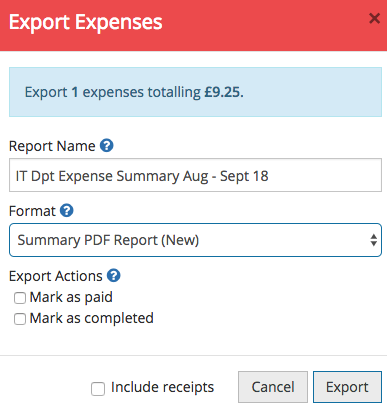 Export Actions: Only select if you are exporting expenses to post the data to your accountancy system. Tick Include Receipts to download a folder containing the related and digitalised receipts. 5. 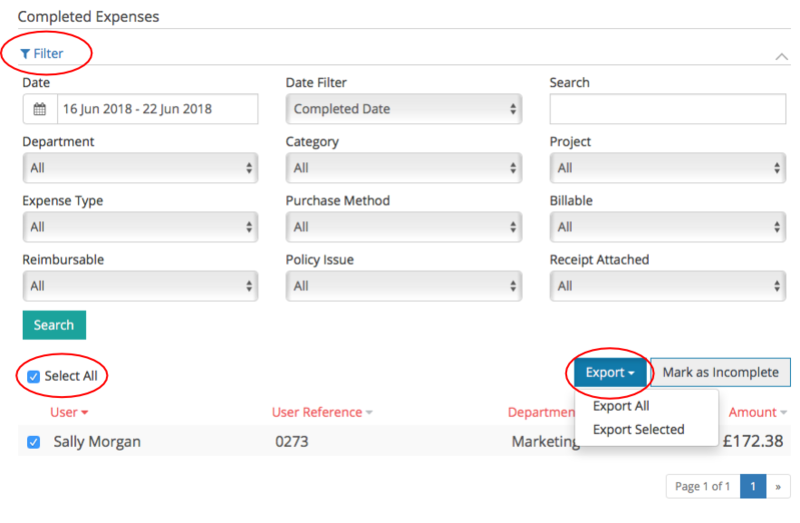 Click the Export button once you are ready to create and download your PDF Report. Please note: If you have ticked Include receipts, ensure the PDF report and receipts folder are always saved in the same location. This will ensure any hyperlinks in the PDF report will work.